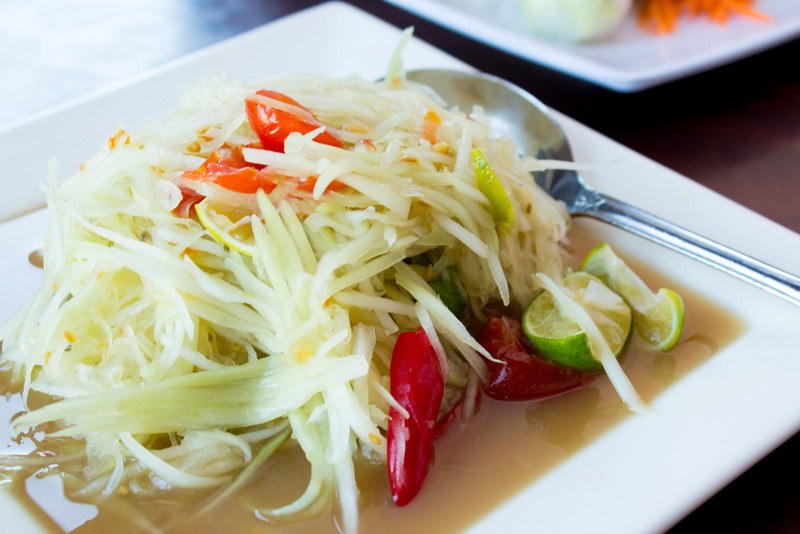 Our mission is simple: source and prepare the freshest ingredients for our handcrafted Thai cuisine. Each meal is worthy of our family at home, which means you’ll enjoy an authentic taste of Thailand at every visit. Each plate begins with high-quality meats, or fresh seafood from our own processing facility. Next, we add vegetables, fruit, and aromatics from local suppliers. The finishing touches are traditional seasonings and our incredible house-made sauces. Harvested from the bountiful Pacific and processed in our own facility, you’ll be amazed at the freshness of our seafood. Each sauce is handcrafted daily from family recipes passed down from generation to generation. In a perfect marriage of ingredients and seasonings, each dish is prepared with time-honored methods. The tradition and history of Thailand in every delicious bite. The Simply Thai story begins in Laos, which is located on the Southeast Asian peninsula. On its western border is Thailand, Vietnam is to the east. 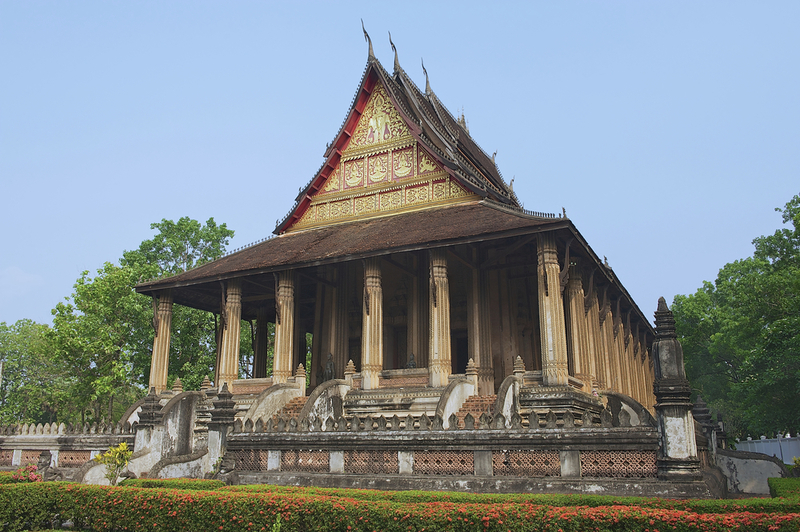 Laos is a beautiful country full of ancient arts, culture, and food. Executive Chef Nita Moore traces her culinary history back to the Laotian royal family. Her family’s recipes were passed down from generation to generation. Nita’s grandparents prepared meals for the monarchy utilizing fresh local ingredients. They prepared each meal in the time-honored methods of Laotian tradition. Behind all great food is an even greater story. We are extremely proud of the hard work and dedication of our small-but-mighty kitchen staff. They carefully process shrimp for fresh rolls, grill each chicken satay to order, slice crisp bell peppers for curries and much, much more. Thai cuisine blends Chinese, Indian, and Southeast Asian influences into something uniquely Thai. It is light, fresh, and traditionally seasoned with chili, peppers, and aromatic herds. The secret of Thai cooking is the delicate balance between the spices and the main ingredients so that one does not overwhelm the other. The seasonings may seem complicated but they are not. 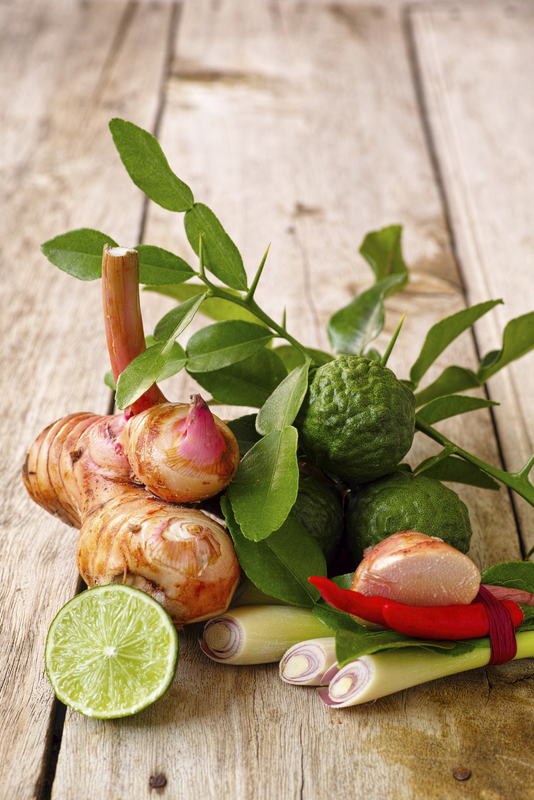 Many are everyday favorites: onions, garlic, basil, coriander (cilantro), ginger, mint, chili, pepper, curry, lemongrass, eggplant, and lime leaves. 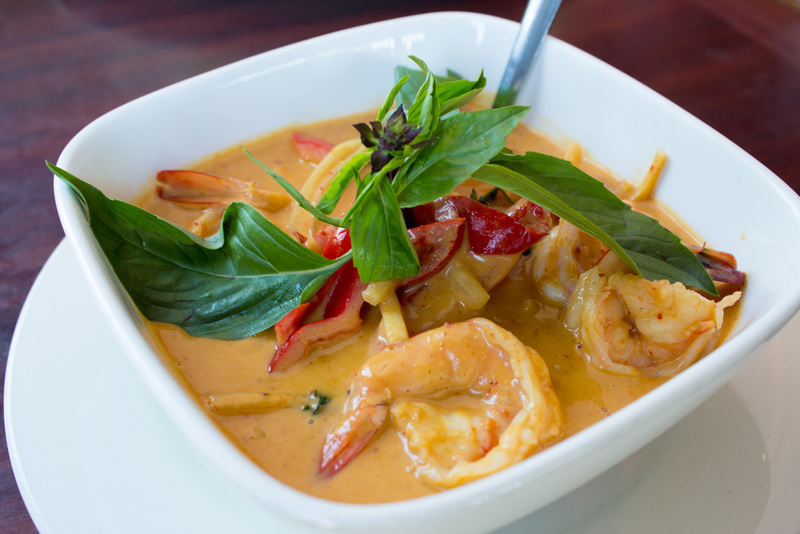 Exotic, sophisticated, and delicious, the blend and balance of many flavors is what creates the unique taste of Thai cuisine.